Doris Fannin of Keller Williams-Sunset has more than ten years experience as a real estate agent. She draws from a diverse background to assist her clients. She earned her bachelors degree in Interior Design from California State University Northridge and later interned at Gruen Architectural Associates. Doris has spent the past ten years serving both buyers and sellers in the Hollywood Hills, Miracle Mile, Hancock Park, Westwood, Los Feliz, Silver Lake, Ladera Heights and San Fernando Valley neighborhoods. From 2004 to 2006 Doris assisted in the development of the training program at Keller Williams Realty-Sunset for new licensees. She has received the Capper Award, attaining $6M or more in sales in both 2005 and 2007, as well as earning Bronze Awards in those same two years and a Gold award in 2006. Doris' properties have been featured in the Los Angeles Times "Hot Properties" and she can be seen on HGTV's "House Hunters". 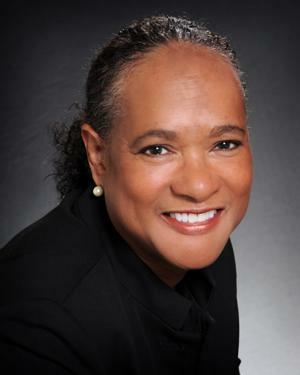 Doris served on the Board of Gramercy Housing Group, helping to provide housing and childcare for young mothers, and is a member of the Greater Los Angeles/Beverly Hills Board of Realtors, the California Association of Realtors, and the National Association of Realtors. She also served form 2005 - 2008 as a member of the Agent Leadership Council for Keller Williams Realty. Doris works with both buyers and sellers to meet all of their real estate needs. As a listing agent in Los Angeles County, Doris' extensive marketing plan gives homeowners the opportunity to get the maximum value for their property. In this very trying real estate market, Doris has worked with successfully with sellers of "short sale” properties as well as relocating clients. For buyers, Doris helps negotiate the best possible deal and searches until she finds the perfect property. Nothing satisfies her more than seeing the smiles that come with a successful sale or the purchase of a lifetime. Contact Doris if you are looking to buy or sell a home, if you are relocating or if you would just like more information regarding the real estate market.